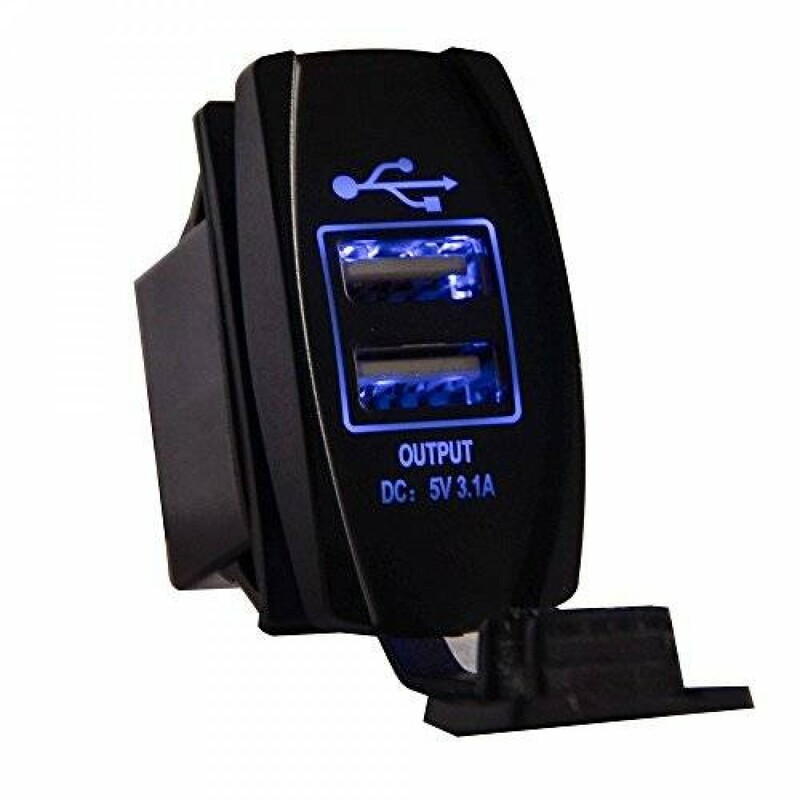 Mictuning 2015 design, input: 12V-30V; output: dual 5V 3.1A, works great as a replacement or extra dual USB charger in car switch panel, with blue LED light. Over-heated, over-current, over-charging protection, charging will be automatically stop when battery is full, easy to use and install. Compatible with popular mobile devices USB 2.0, any device including digital cameras, PDAs, mobile phones and USB accessories. 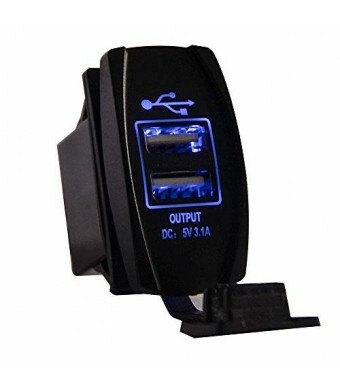 As a replacement or extra 12V-30V DC dual USB charger in vehicle. Color: black - material: ABS + electronic components. Surface size is 2 (50mm) x 1 (25mm). Standard size mounting hole 1.41 (36mm) x .86 (22mm). This is the standard size of most switch holes in modern vehicles. introductions: 1, 2 port DC 5V 3.1A USB socket charger, input: 12-30V. 2, This is a great quality USB charger very reliable range of 12v power sockets/outlets. 3, Suitable for interior or exterior use. 4, Compatible with popular mobile devices USB 2.0, any device including digital cameras, PDAs, mobile phones and USB accessories. 5, Great for the boats or outdoor use due to waterproof cover. 6, Works great as a replacement or extra 12V DC Dual USB charger in cars, motor-homes, motor bikes and RV. pecification: 2 port USB socket Power input: DC 12V-30V USB socket power output: DC 5V 3.1A Output: 5V 6.2A DC (Total) Compatible: As a replacement or extra 12V DC Dual USB charger in cars, motor-homes, motor bikes and RV. Compatible with popular mobile devices USB 2.0, any device including digital cameras, PDAs, mobile phones and USB accessories.